Hey, wait a minute…why are we doing this again?!? If you are gullible enough to buy into Gov. Snyder’s, along with the Michigan GOP’s (working behind the scenes, of course), hype surrounding the “saving” of Detroit through a massive Michigan Taxpayer bailout via the “Grand Bargain“, a little more than a year later you would think things were humming along wonderfully and everything in The D was just swell. Well, let me be among the first to smash those rose-colored glasses they have been distributing to the masses, knock that cup of Kool Aid in your hands to the ground and show everyone why it all is about to come crashing down…hard…again. *** Quick Note: I’ve received a few messages asking me why I referred to EX-Detroit Federation of Teachers President as being “recently reinstated“. There is an upcoming “hearing” with the American Federation of Teachers next week to consider the matter of his reinstatement. I’ve been told that hearing is nothing really more than a formality at this point, but that he is not currently officially back in his old position. According to the CPA with the MBA, all Detroit needed to turn itself around was someone installed to run everything via jamming a bill through the Michigan Legislature (despite Michigan Voters unmistakable decision on this issue to the contrary), turning the generally accepted rules of bankruptcy on its head, wiping out Detroit’s almost $20-billion in debt and then going on a presser announcing what a great job he had done solving the problem. If I were him, I’d strongly consider demanding a full refund from the University of Michigan. Nothing in his plan addressed the overwhelming number of Detroit Residents not working and on government assistance of some type. Nothing in his plan address the utter destruction of the family structure within Detroit (i.e. lack of two-parent families, children born out of wedlock, substance abuse, family members in trouble with local law-enforcement, etc.). Nothing in his plan addressed the literal war zones that are the neighborhoods in the inner-city. And nothing in his plan addressed the utter failure that is the Detroit Public School system. 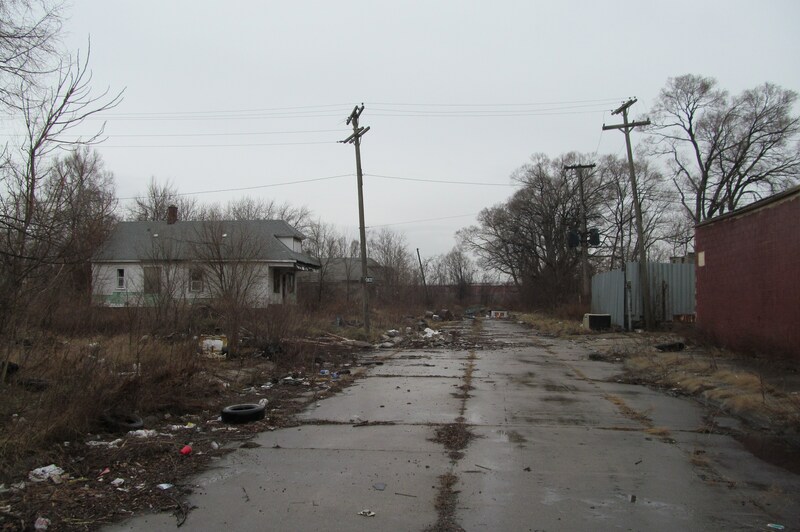 This typical Detroit Street was not difficult to find. 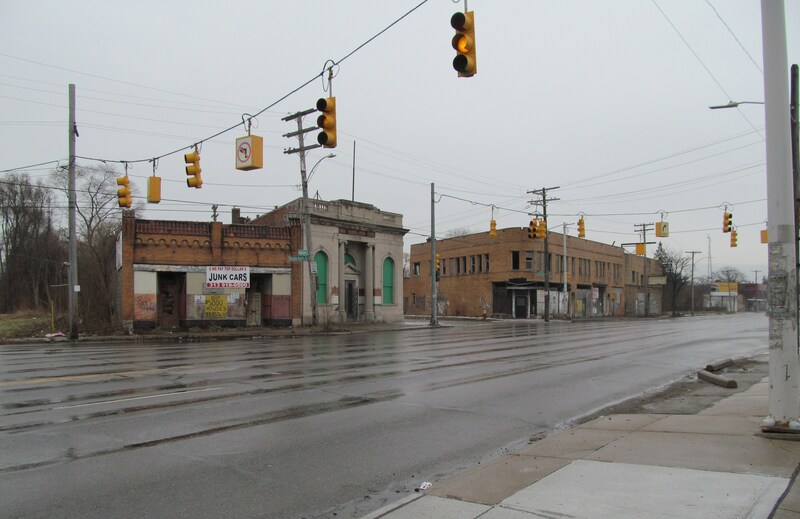 Nor was this typical Detroit intersection. I’m only just scratching the surface on the myriad of problem the city was, and more importantly, IS still facing post-bankruptcy. But I think that you’re getting my drift. It should be pointed out that last item on the list is coming back with a vengeance. 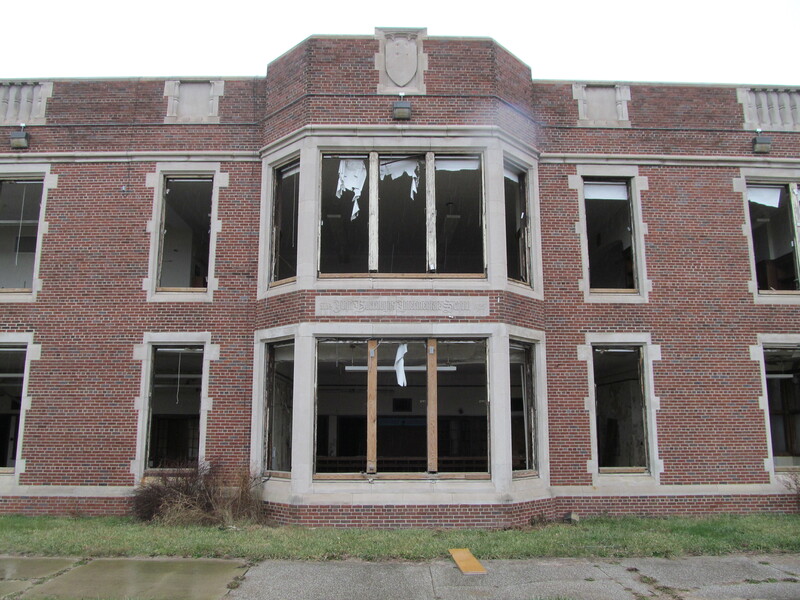 What was the John Burroughs Intermediate School on Detroit’s East Side. According to the 2015 numbers from the National Center for Education Statistics, 96% of Detroit Public Schools students were not proficient in Math. 93% of those same students were not proficient in reading. Those numbers did not significantly change from previous years. 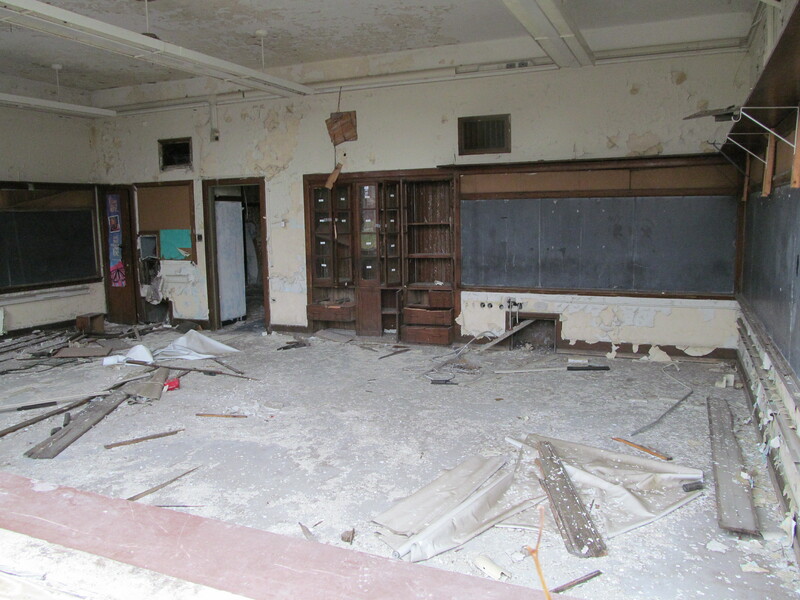 Adding insult to injury, for several weeks now, Detroit Public School teachers have been staging sporadic multiple “sickouts” across the district. So far, the “sickouts” have been nothing more than a nuisance. But unfortunately, their frequency has been increasing, along with the number of students affected. Today, some 60 Detroit Public Schools have been closed due to this “sickout” with no end in the foreseeable future to this. The teacher’s rationale for walking out may sound familiar to everyone by now; neglected school infrastructure, shortage of supplies, class size, and of course the elephant in the room more money. When you don’t take any pride in what you do have, of course things fall apart. One item of note regarding these “sickouts”. They are being orchestrated and coordinated by the “Strike to Win” Committee headed by ex-Detroit Federation of Teachers President Steve Conn. You may recall that President Conn was kicked out of his DFT office last year for his affiliation with local troublemakers BAMN, along with not paying his union dues. You can definitely tell someone by the company they keep. Insert irony of a union president being labeled a “freeloader” here. It should also be noted that Steve Conn is so hard-left, he makes Democratic Presidential Candidate Bernie Sanders sound like the voice of reason. Conn’s “strategy” here is to strike early, strike often and get their plight made know to as many as possible in the media. Fortunately, his stratagem hasn’t fallen on deaf ears. Gov. Snyder is ready and raring to go to assist President Conn and his “Strike to Win“ Committee with their cause. He wants Lansing to give Detroit (yet another) bailout. This time to the tune of at least $715-million. Where Gov. Snyder intends to get that money is really anyone’s guess? His latest idea was to skim about $50 from the per pupil allocation intended for every public school student across Michigan. 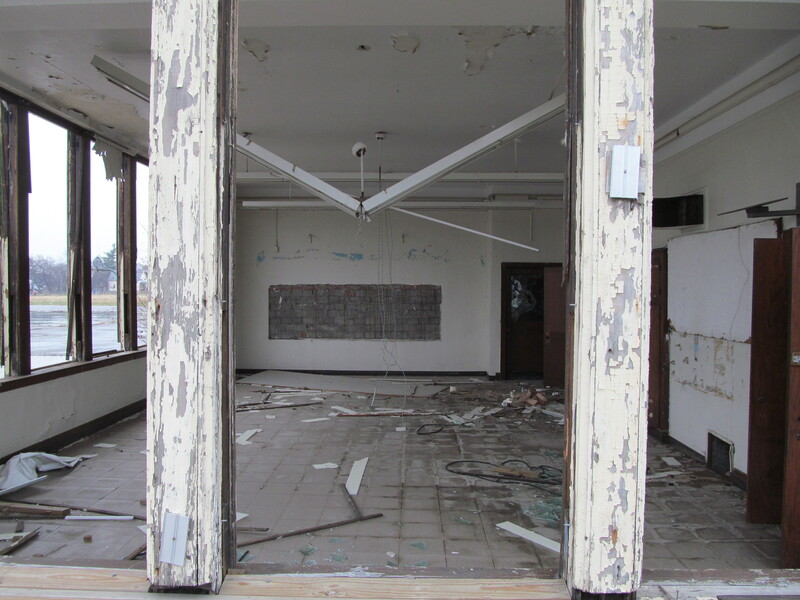 If you are a parent in Alpena, St. Ignace, Grand Rapids or Holland, do you want to see ANY money removed from YOUR child’s classroom and shipped over to Detroit, where they have done a marvelous job of managing what they already have already? Exhibit “A”: Doing a marvelous job of managing what they already have. To top things off, it is not as if Gov. Snyder has other emerging problems to contend with in during the waning days of his administration gnawing into the General Fund like this or even this. Michigan Taxpayers: Be sure to tightly hold onto your wallets! Someone has a conscience that needs to be assuaged. 26,000 teachers STATEWIDE (if memory serves) staged a sickout during Right To Work over 3 years ago. We pressured absolutely nobody to do anything in regards to this intentional stick in our eyes as ignoring the law/taking our children's education hostage was already common practice throughout the state for many years previous on many occasions. We don't care about our own kids let alone those in Detroit and everybody in the entire nation knows this. We have to keep them dumb or they'll someday figure out who exactly is receiving these bloated pension checks and why they don't live here anymore or come back only to visit their summer cottages on the lake. 'Hopefully' we'll all either be dead or in diapers before any of them wise up. I would disagree with that assessment. And ironically, I'll use the DPS to make my point. Back a couple of years ago when schools of choice anywhere in Michigan was all the rage (even the Mackinac Center was promoting this stink burger), when most school districts were looking only at dollar signs (instead of the actual costs involved with the education for those students), one area district saw the writing on the wall and fervently opposed SoC. Oh sure, they got labeled every name in the book in an attempt to shame them into conformity. But when you are taxed at a higher rate because you WANT a better education for your children, when you volunteer your time at events and in the classroom in your child's school and when you generally expect your child to do better because of it, it is galling for someone whose job it is to write up policy papers to even suggest that people who ARE NOT willing to invest the same amount of time, energy and resources for their own child/children's education should just walk right in free and enjoy the same benefits of your efforts. And I don't need to throw out hypotheticals regarding what might happen if DPS students were allowed into surrounding districts, just look at what happened in the Fitzgerald, Van Dyke or East Detroit school districts. Discipline problem rose, academic achievement fell and parents were getting frustrated (I would actually use a much stronger word to describe this...but I'm attempting to keep this SFW) because their children's education, paid for by their local millages (many of these districts enacted special millages for buildings , supplies, etc), was being shunted aside so that the staff could attempt to bring these "new students" up to their grade level. So yes, there are parents who still do care about their children.